Nieros is celebrating its 245 anniversary this year. Since 1773 Nieros has been supplying customers all over the world. Starting as a small local plant in 1773, Nieros has grown into a global player always in line with industry trends. More than 240 years of continuous business have taught the company to be persistent, which helps solve even the most difficult technological challenge. Nieros has one and very clear mission, that is to develop and produce comprehensive products covering the needs of numerous industrial facilities. By building long-term strategic partnerships, Nieros has been able to successfully and responsibly fulfil the need for progress, modernization and efficient servicing. Nieros is a global designer and manufacturer of high-tech stainless-steel products, covering a wide array of industrial facilities and providing our clients with complete customer service and support. Long-term investments in developing new technologies result in manufacturing high-quality, modern and user-friendly equipment, which is also durable and long-lasting. Nieros is producing different hygiene systems solutions for different industries. Especially, hygiene systems designed by Nieros are used in food processing industry, where high hygiene standard is of a great importance due to the relatively high risk of poisoning. All of Nieros hygiene systems are user friendly and very efficient. Furthermore, Nieros also manufactures food processing solutions for meat industry. 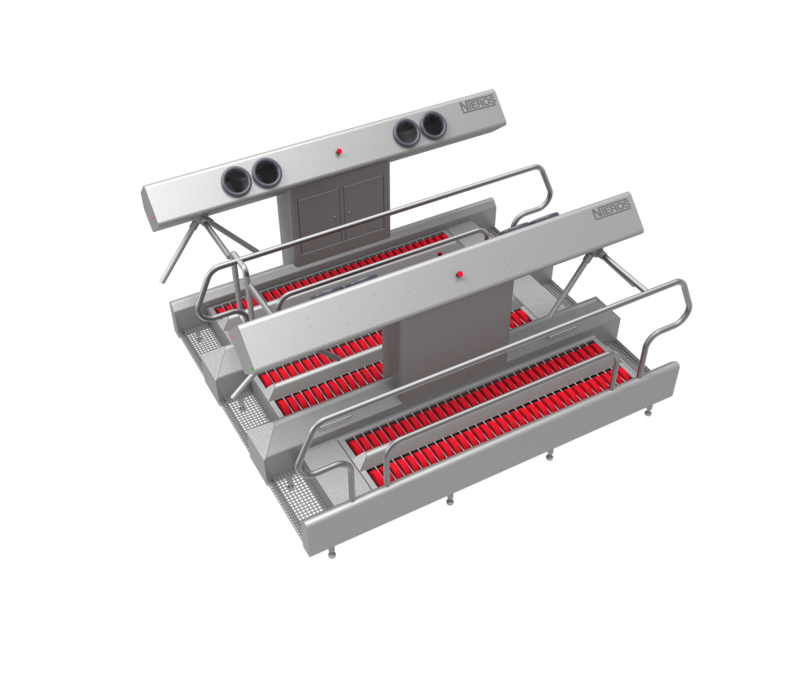 All of meat processing solutions are made from stainless steel and are thus easy to clean and maintain, furthermore, they are also durable and have a long life span. Nevertheless, Nieros is not producing only hygiene systems solutions and food processing solutions, but also warehouse systems solutions. Warehouse systems manufactured by Nieros are organized and user friendly. Warehouse systems can be fully automated as well as manually operated. Theer are different types of storage systems available – from racks and shelving to standard warehouse systems solutions. Last but not least, due to the effective automatic system, work in storage systems is effective and time-efficient. All of systems, manufactured by Nieros can also be custom made. Additionally, every product is in compliance with highest standard demanded worldwide, thus Nieros solutions are able to be used in many different industries worldwide.